But here's the rest of that story: Mozart's father was a successful musician, composer and instructor. He was devoted to teaching Mozart and helping him practice hard and achieve perfection. Talent, I argue, is not born, it's made – and parents can make a big difference. Although some might believe that talent is rare, psychologist Benjamin Bloom said otherwise after he investigated top performers in six talent domains: "What any person in the world can learn, almost all persons can learn if provided with the appropriate conditions of learning." Children can't ignite and stoke these talent factors on their own. Instead, as I argue in my 2019 book, "Nurturing Children's Talents: A Guide for Parents," children need a talent manager, most often a parent, to nurture talent growth. I make this case as an educational psychologist who specializes in learning and talent development. Let's take a closer look at these talent factors and parents' influence. "I think my daughter had an advantage because of my job," coach Cook said. "She grew up around volleyball. When she was a little kid, we set up a mini court in the basement and would play volleyball on our knees." Some parents were not linked to the child's eventual talent area but provided a nurturing early environment that sparked a talent interest. Such was the case for Adora Svitak, an accomplished child writer and presenter. Adora published two books by age 11 and made hundreds of international presentations, including a TED Talk viewed by millions. Adora's parents, John and Joyce, were not writers or presenters, but they set the stage for Adora's accomplishments. As her mother describes, they read "interesting and fascinating" books to her for more than an hour each night. "Reading really helped shape Adora's love for learning and reading," she said. In addition, they encouraged Adora's early writing, offered guidance, helped her publish her books and arranged speaking engagements. Joyce eventually quit her job to manage Adora's career. She said, "It is a full-time job, and it can be hard. But, I don't just manage somebody; I manage my daughter." He read books, watched videos, and studied grandmaster games that allowed him to create a book with specialized lessons to instruct Kayden during nightly training sessions. Eventually, when Dan could no longer keep pace with Kayden's growth, he arranged for Kayden to take lessons from grandmasters via the internet. Practice among the talented is never casual, it's deliberate: goal-directed and beyond one's comfort zone. "Some days in practice you're just so exhausted. You're sore and your entire body aches, and it's hard to find motivation. Your brain shuts down but your body keeps going through the muscle aches, heavy breathing and throwing up. People don't realize how hard swimmers practice; they think we just jump in the pool and swim a few laps." When I asked Jayde Atkins, a national high school rodeo champion, why she is so talented, she said, "Look at all I have, I should be good." Jayde was raised on a horse ranch in central Nebraska and began riding at age 2. Most talented performers do not a have a center of excellence outside their back door. In those cases, they may travel to get to one. Consider three tennis players from Lincoln, Nebraska, my hometown. With their parents' blessing and support, Jon and Joel Reckewey left home as teenagers and moved three hours away to Kansas where they trained at the prestigious Mike Wolf Tennis Academy. Wimbledon and U.S. Open doubles champion Jack Sock traveled weekly to that same tennis academy as a boy before his entire family eventually relocated to Kansas. With parents' support, budding stars often gravitate to centers of excellence, where top coaches and rising stars flock. One chess parent I interviewed told me, "The extraordinary time we put toward this one activity takes him out of a lot of fun and games." 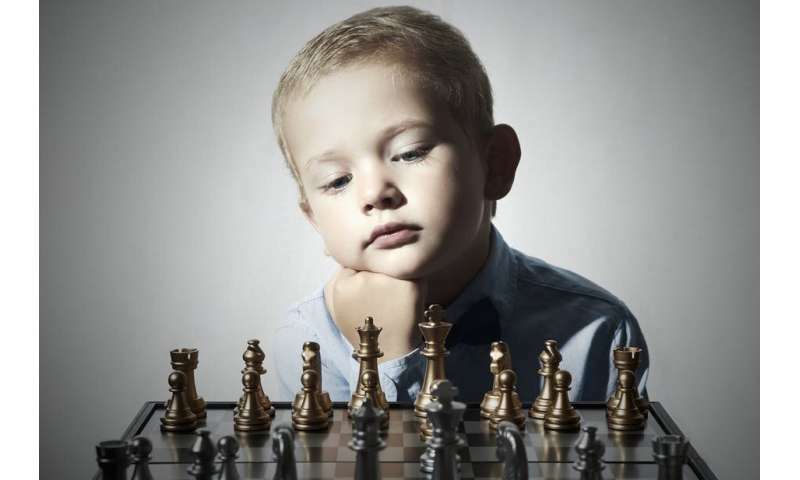 Another parent said, "He's not interested in school; he's interested in chess. He just lives and breathes chess." That same parent said, "We once took chess away (because of low school performance) and he was miserable. It was like yanking out the soul." Parents support this singleness of purpose. However, on occasion, they may find themselves supporting more than one passion. For instance, McKenzie Steiner is an all-state softball player and rising country music star. Her father, Scott, was McKenzie's longtime softball coach, logging thousands of hours a year on the diamond and practicing pitching in the backyard, and also serving as her country band assembler, promoter and manager.